The child and her mother turn and scream in horror as Chou pounces. As the struggle continues, the youngster is lifted clean off her feet as the two adults engage in what was described locally as "a human tug of war". The adults engage in a 'human tug of war' that results in the child being lifted off her feet. 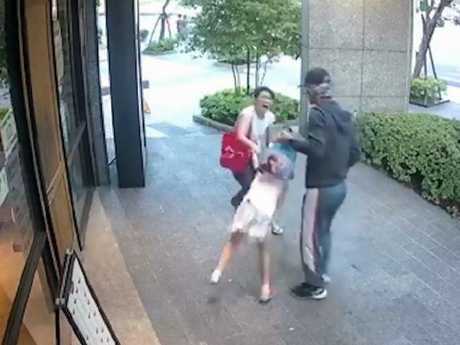 Restaurant staff and a number of passers-by are seen rushing to the mother's aid, with Chou letting go and attempting to scarper as members of the public attempt to stop him. The attacker is accosted by passers-by in an attempt to stop him fleeing the scene. 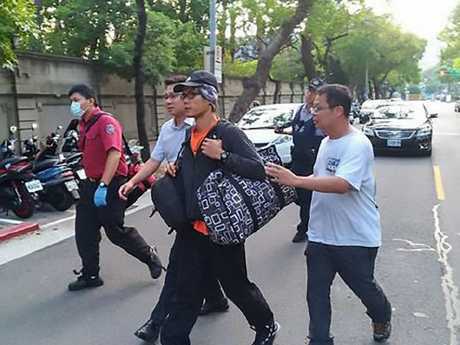 Chou is taken away by police as members of the public walk alongside him to ensure he does not escape.